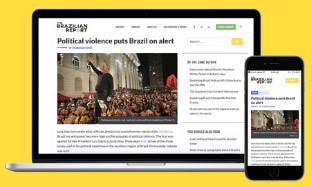 Just three years after the 2015 Mariana dam collapse, Brazil is witnessing a similar tragedy happening only 150 kilometers away, in the small town of Brumadinho. 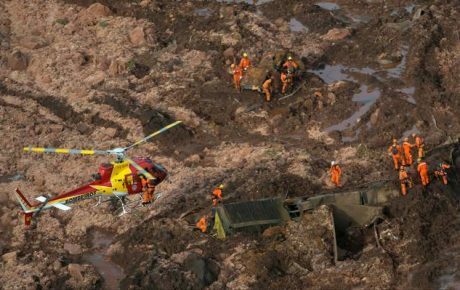 An iron ore tailings dam collapsed—belonging to Brazil’s biggest mining company Vale—spilling 3 million cubic meters of waste, according to early estimations from the local fire brigade which are set to increase. This time, the disaster has been much deadlier. At least 37 people were killed and over 250 are reported missing. In terms of the volume of tailings, the Brumadinho dam collapse is 16 times smaller than Mariana — but it doesn’t mean it wasn’t massive. 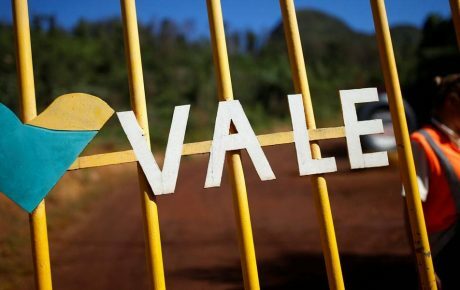 The most recent dam collapse involving Vale is already in the infamous ranking of the world’s worst mining catastrophe in the last 30 years. 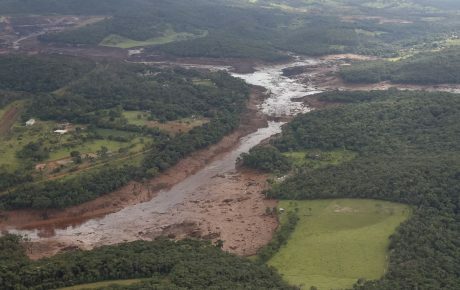 Over that span, there were 67 reported incidents with mining dams — and only seven were worst than Brumadinho. This depicts a global trend. As mining production has rapidly risen, so has the number of disasters. According to Bowker Associates, a risk management firm, roughly 6 million cubic meters of mineral waste was spilled between 1955 and 1965. 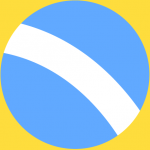 Between 2005 and 2015, the level increased to 107 million cubic meters — with Mariana included. And, according to Bowker, the number will reach 123 million cubic meters between 2015 and 2025. This means that safety in the sector is bound to decrease over time — not increase, as one might expect. The volume of waste, however, is not proportional to the number of deaths. In 2015, the Mariana dam spilled almost 50 million cubic meters of iron ore tailings, killing 19 people. Thirty years prior, 268 people were killed in Trento, Italy, due to a 200,000 cubic meter spill. That has been the deadliest incident ever recorded, only comparable to an iron ore dam collapse in Linfen, China, which killed 254 people in 2008. 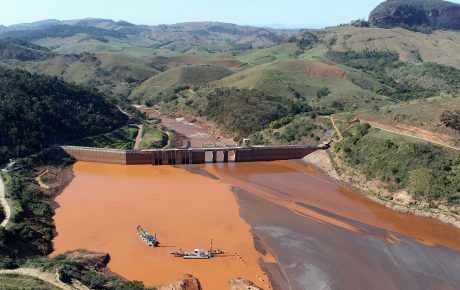 The federal government established a “crisis cabinet” to evaluate the situation, and has recommended an inspection in all Brazilian dams — as well as a change in security protocols. A member of this committee, Solicitor General André Mengonça, has blamed Vale for the tragedy. Vale shares took a tumble after Friday’s catastrophe, falling 8 percent on the New York Stock Exchange. When the São Paulo exchange reopens on Monday, investors are in for a torrid time. 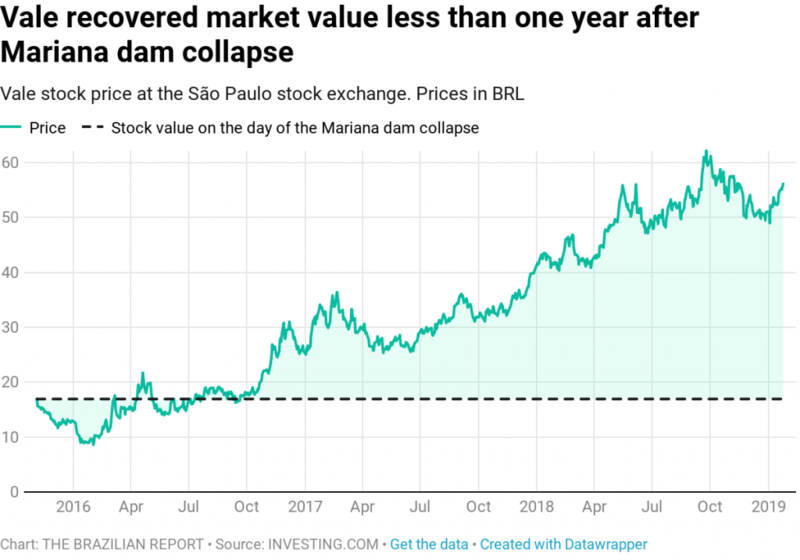 However, this is not set to worry long-term shareholders, as even after the Mariana disaster in 2015, it took Vale less than one year to bring back its stock price to pre-collapse levels. This quick financial recovery could point to the reasons why no lessons were learned in the last three years.